Hi everyone! Oh wow, so November was super busy! And proper busy - events, dinners, catch-ups, work, gym blah blah blah. I'm exhausted! I sure am looking forward to getting a week off over Christmas! 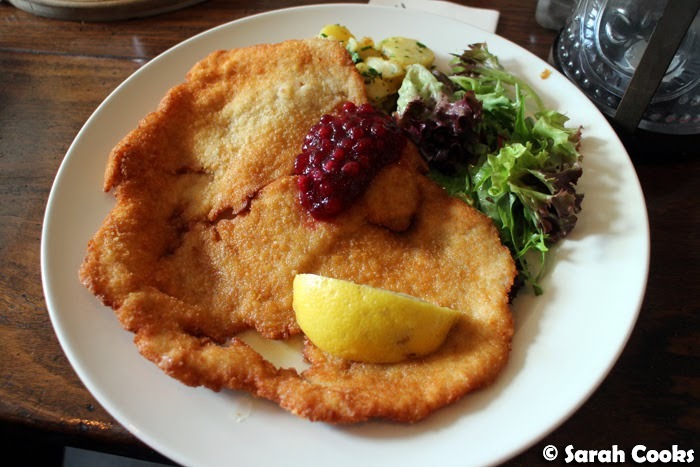 We visited Muttis twice this month, filling up on schnitzels, beer and pork hocks before they closed at the end of November. They are (were?) my absolute favourite German-style restaurant in Melbourne - so sad that they closed! I can't wait to see what the team do next. I think I might blog the meals... we'll see! 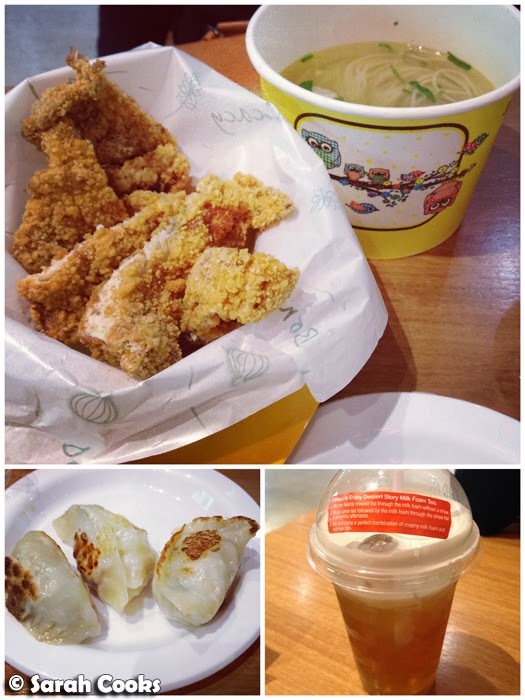 Dessert Story have started serving savoury Taiwanese snacks - dumpling, fried chicken, tea eggs etc. They're really nice (and cheap, hehe). The milk foam ice tea isn't quite as good as Gong Cha, but still pretty good! Hasn't the weather been crazy this month? Hot, then cold, then rainy, then super hot, then rainy again! 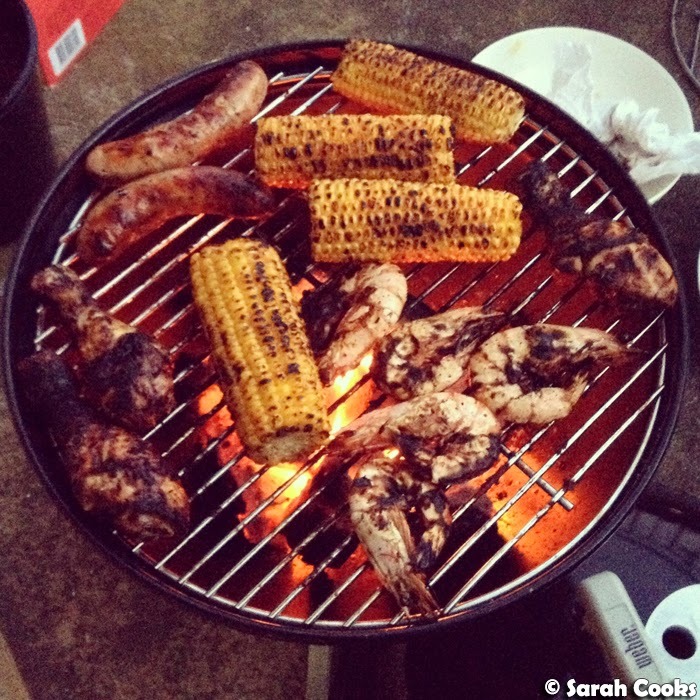 On one of the warmer days, we had a nice little barbecue on the balcony. 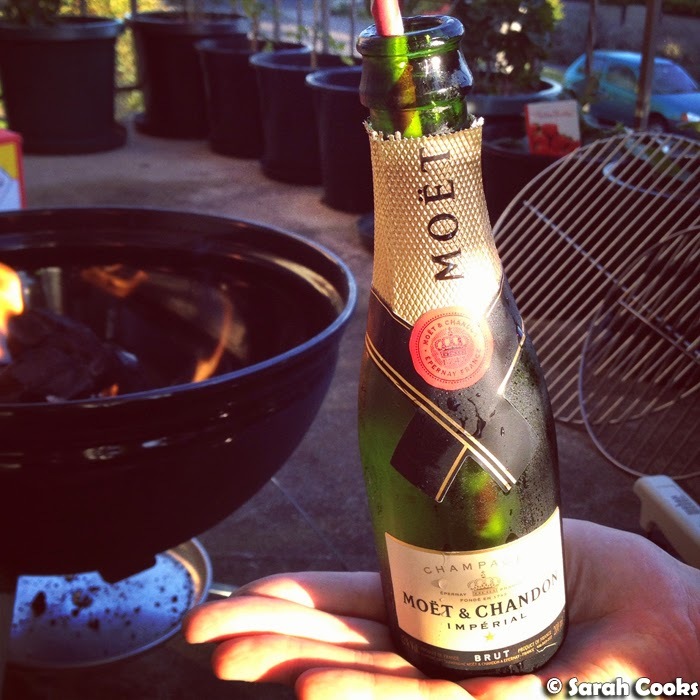 Great excuse to break out the mini-Moët! 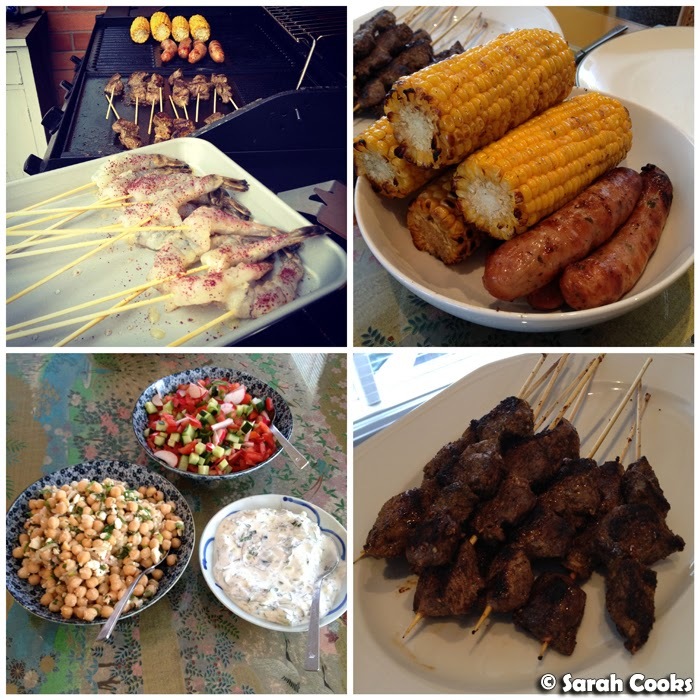 Another (warm) day, when we felt like cooking up something a bit more special, we had a barbecue at my parents' place - sumac prawns, grilled corn, pork sausages, za'atar lamb skewers, feta and chickpea salad; tzatziki and a chopped salad. More Taiwanese food, this time at The Booth (612 Station St, Box Hill VIC 3128) - I really liked the "cats eye" noodles (like little orecchiette) in beef soup, although we found everything there quite oily. However, we super super super loved the egg waffles! 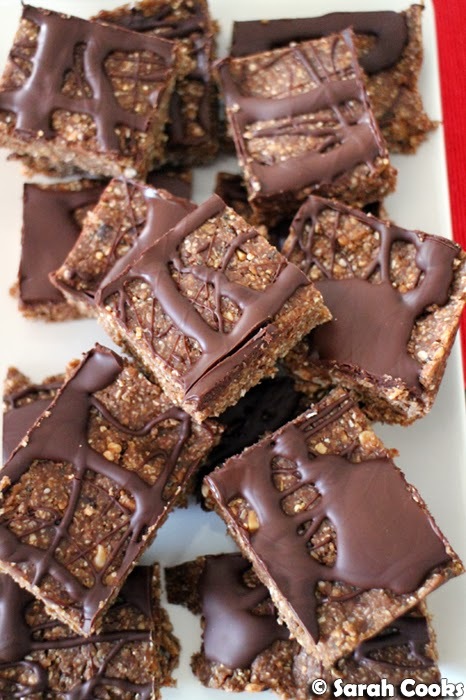 Sandra's gotten into the habit of making protein bars, and they're so good! She usually uses a mix of chocolate protein powder, nuts, nut butters, coconut crunch and more. We chuck them in the freezer and I'll go and grab one whenever I need a little energy boost, like before the gym or if there are a few good hours until dinner. She's kinda freestyling it right now, but if we lock down a recipe I'll post it here! As part of Good Food Month, I was invited to David's Prahran for their "Beyond the Bund" dinner (a complimentary meal with a group of other bloggers). This was a five-course dinner with matching wines, with dishes from regions in China a bit further than David's usual Shanghai. 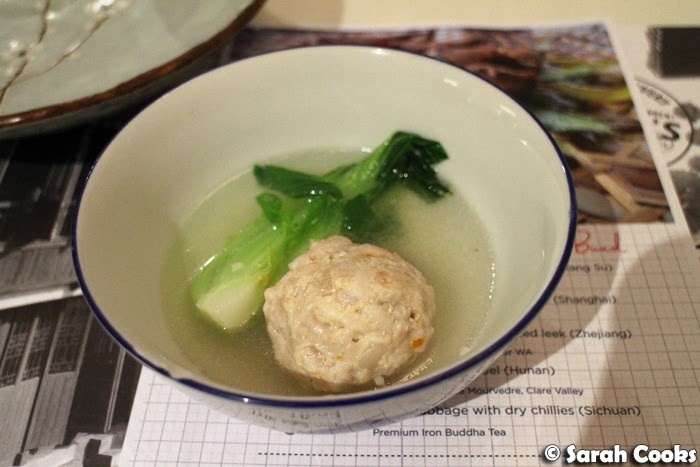 Funnily enough, my favourite course was also the simplest: Lion head pork and chestnut meatball in a clear chicken broth. Homely and comforting. I might blog the dinner - is anyone keen to see more? 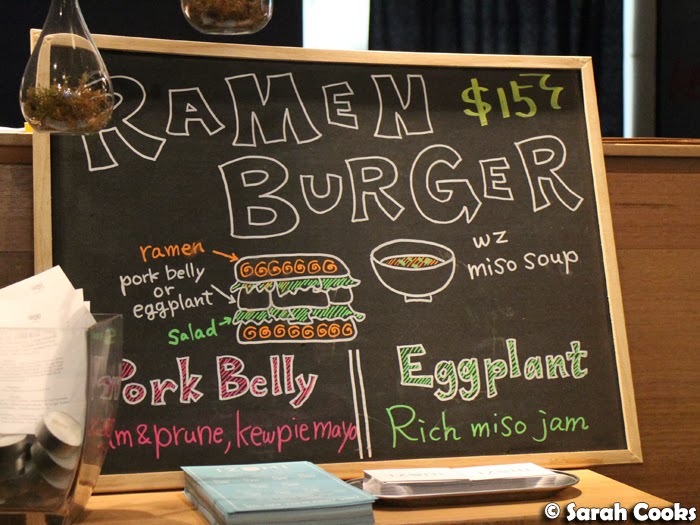 Another night, I was invited to a complimentary bloggers' dinner at Shizuku Japanese restaurant on Victoria Street - they're a casual, mod-Japanese-fusion restaurant who sell ramen burgers! The staff were super nice and they were so generous with the food - we were all so full! I wasn't a huge fan of the ramen burgers themselves (flavours were good but it was super messy to eat), but really liked the rest of the (many) dishes we tried, including wasabi prawns, gyoza with sriracha kewpie mayo and a funky "tan tan raamen" (a Jap version of my beloved Sichuan dan dan mien). 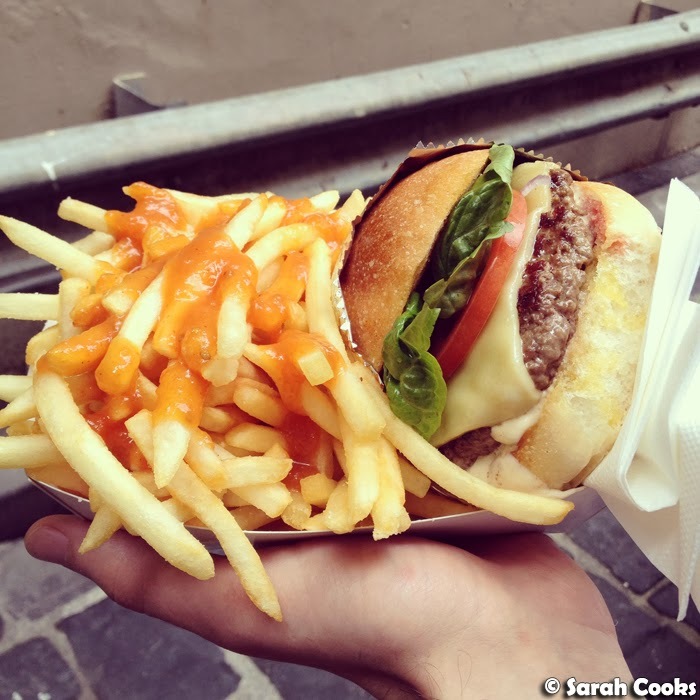 Again, I'm thinking of blogging this meal - anyone interested? 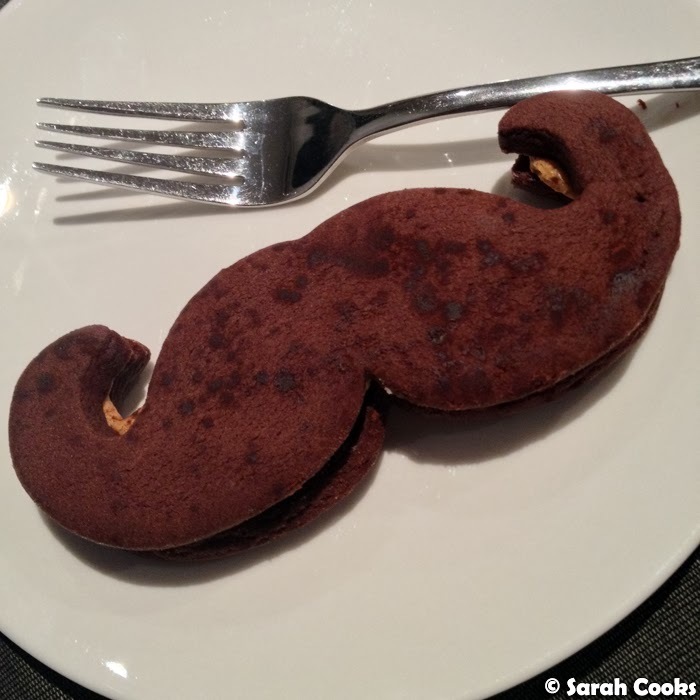 A couple more visits to Beatrix this month - my favourite thing there right now is the Cocoa-Mo: cocoa shortbread with espresso cream in a cute moustache shape! The little hint of salt in the shortbread really makes it pop. I was invited (like every other blogger in Melbourne, it seems!) 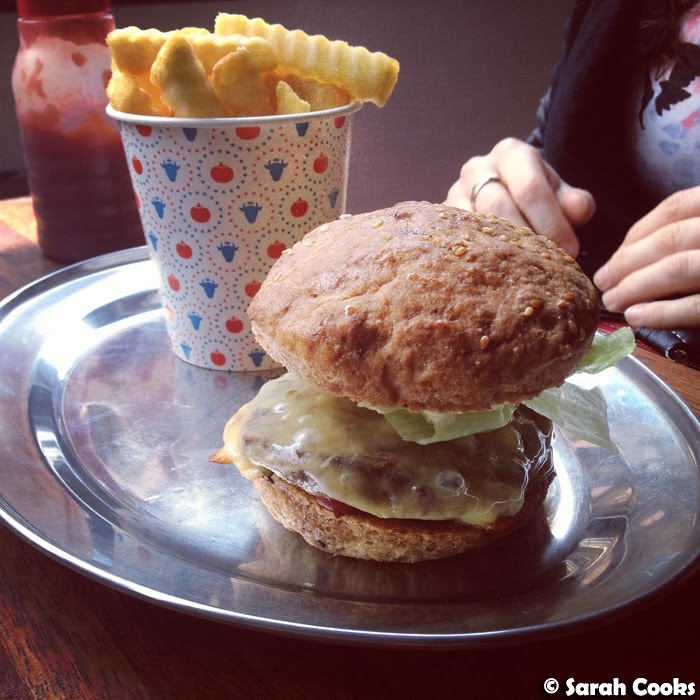 to try out a comped meal at Third Wave Cafe in Prahran. Full honesty: looking at their website, I wasn't expecting much - their massive menu bizarrely includes sections for breakfasts, paninis, sweets, American BBQ, Paleo (Paleo, FFS!) and traditional Russian food. 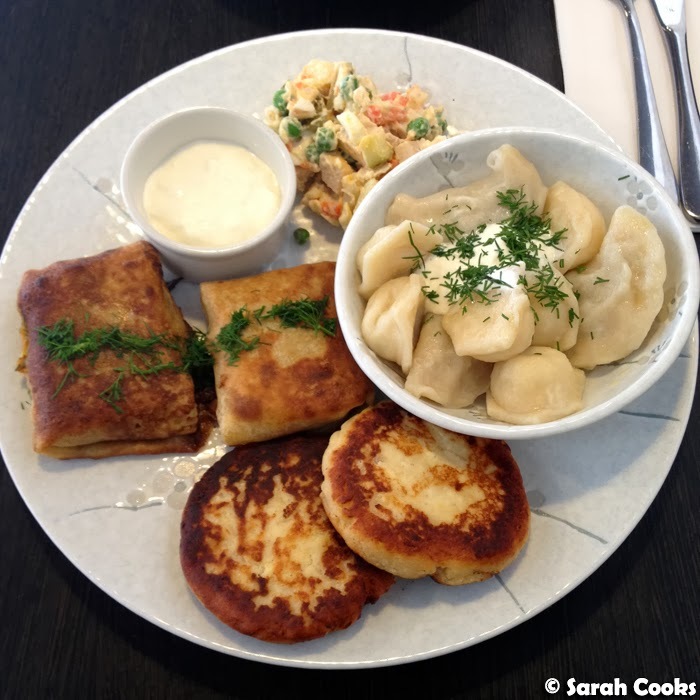 However, I was really intrigued by the idea of traditional Russian food, and thought it couldn't hurt to give it a go seeing as the owner is Russian. Sandra tried the blueberry blintzes, and I ordered the Russian sampler plate - both were definite winners! (Y'all know I love carby potato-based meals, hehe). The coffees weren't great and I can't vouch for anything from the other parts of the menu, but we really liked what we had. 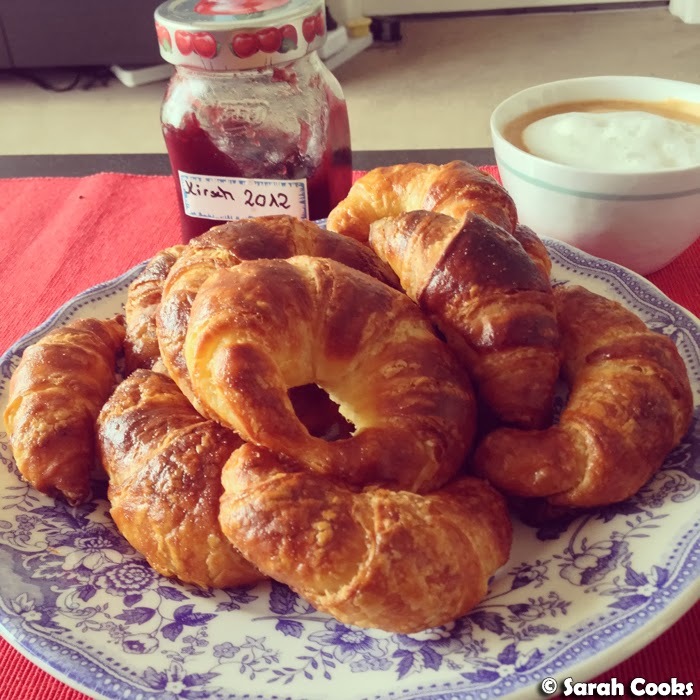 Anyone got a good recipe for syrniki? Those dense potato pancakes were fab! 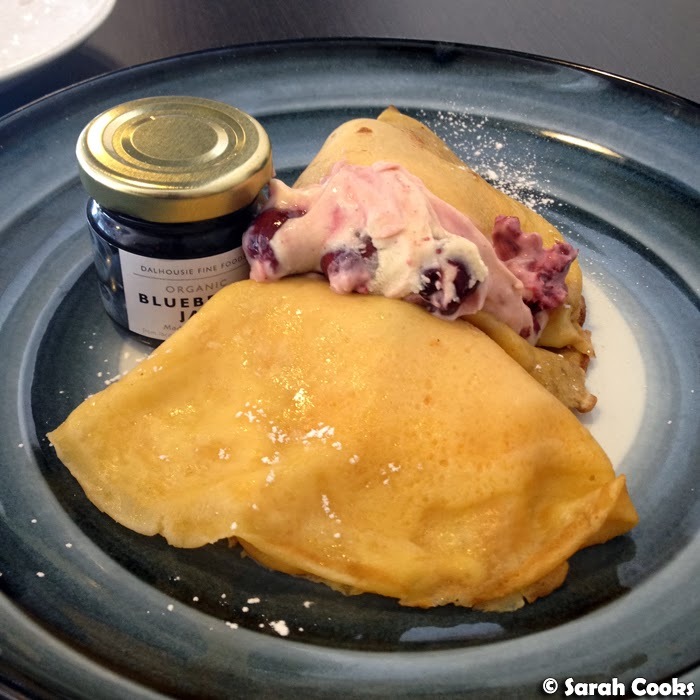 I know they're listed as "savoury" pancakes but I didn't find them particularly salty or sweet, and liked them spread with blueberry jam. 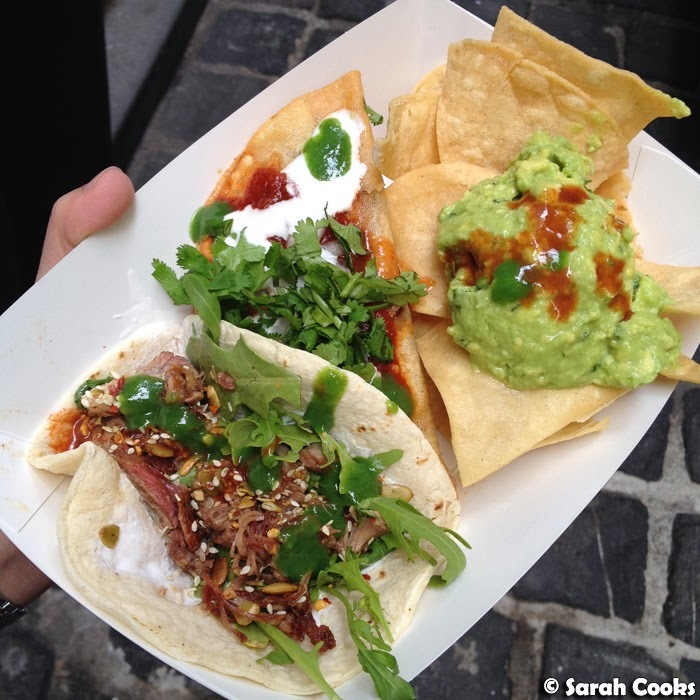 When they were in the city one day, I had Taco Truck for lunch (and my friend James tried a burger from Beat Box Kitchen). I splashed out an extra $4 for guacamole and fried tortilla chips. It was worth it. 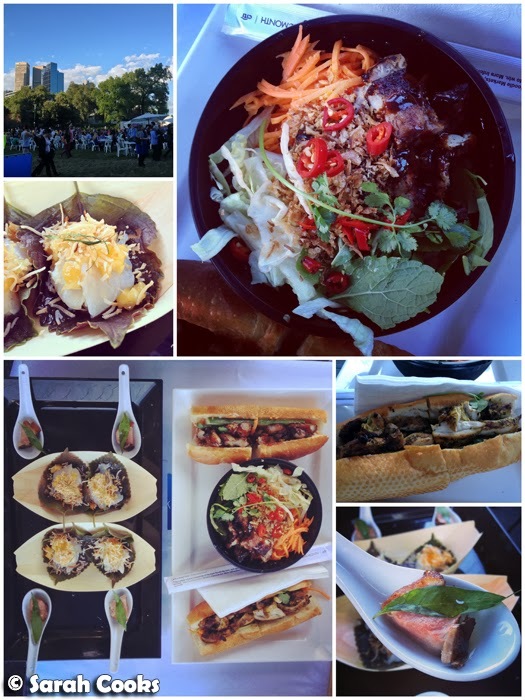 On one sunny evening, we visited the Night Noodle Markets. I'd gotten an invite from a PR company to try some food from the Banh Mi Boys truck for free, and we were also given a seat in the Citibank VIP area - yay for having a seat! The markets were so crowded that it would have been a struggle to find a place to sit! We were hoping to visit some of the other stalls as well, but the lines were crazy long, and we'd gotten more than enough food from Banh Mi Boys! I particularly liked the Chatnam island cod ceviche with mango and orange ginger dressing, the pork belly bún (vermicelli noodles), and the chicken banh mi. I also purchased a Rekorderlig pear cider and it was... well... not good. Super sweet and fake tasting. I really felt like a nice cider on a warm night, and Rekorderlig was the only brand available - I think they must sponsor the festival. Oh well! It was Thanksgiving in November. 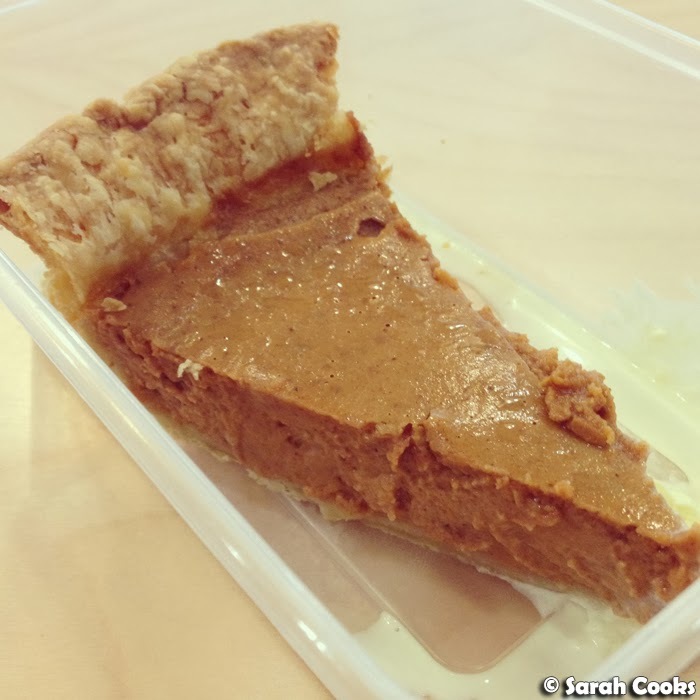 I didn't celebrate this year, but my American friend Alaina dropped a piece of her homemade pumpkin pie to my office. Woah! 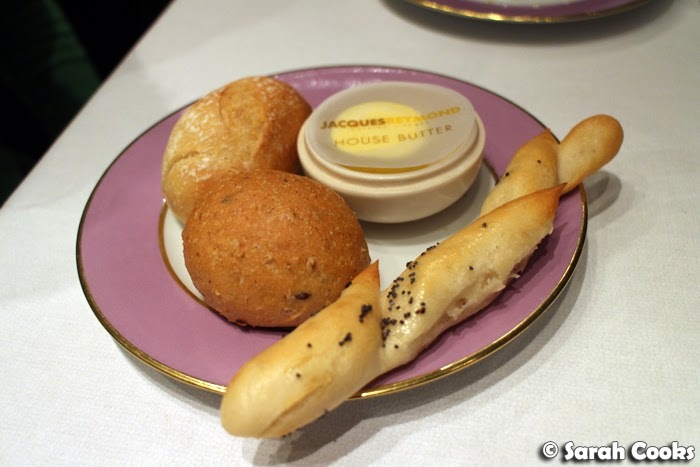 We took my friend An to Jacques Reymond for his birthday - the full nine courses and matching wines. The meal was so wonderful! I'll definitely be blogging this one! I can't believe it's December already! My plans for the month are a little weekend away to Mornington, catching up with friends, dinners, drinks, trying to keep up my gym routine... and of course CHRISTMAS! Can't wait! Such a delicious month - as always :) And haha love the name Cocoa-Mo! Definitely interested in posts on the David's dinner and the Japanese - wasabi prawns!! Yum! 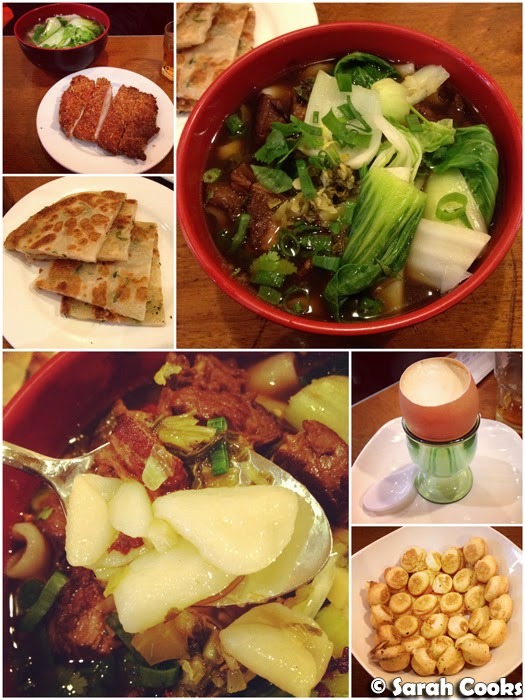 I'd love to hear more about David's dinner - I grew up with Shanghainese cuisine, and love to see more about it.